Currently, the way speed limits are decided and set is based on something called the 85th percentile methodology. It?s the speed at or below which 85 percent of all vehicles travel under free-flowing conditions. It?s measured by vehicles driving past a monitored checkpoint. Taken into consideration are vehicles that travel slightly slower or slightly faster. What it amounts to is really a statistical game of averages. California is set to revise this methodology using the Zero Traffic Fatalities Task Force. Assembly Bill 2363 forms this new task force to review the current methodology. The 85th percentile methodology is being questioned because of the high number of fatalities on California roadways. 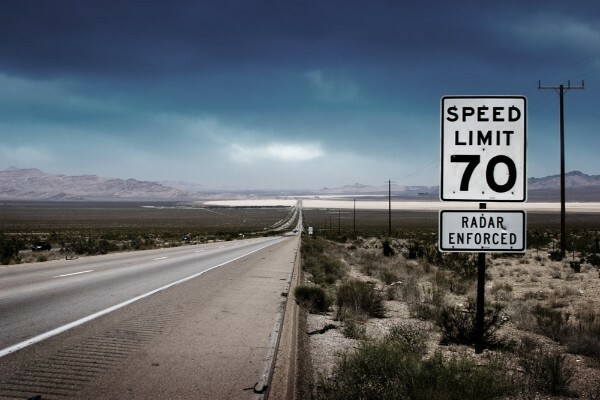 It?s recognized that speed is a determining factor in crash accident reports. The Zero Traffic Fatalities Task Force will include members of the California Highway Patrol, the Department of Transportation, the Department of Public Health, the University of California as well as other schools, local governments and other road safety organizations. Some California cities, like Sacramento, Fresno, San Jose, San Diego and Santa Barbara, to name a few, have been using engineering, education and enforcement as ways to increase road safety. AB 2363 paves the way for better road safety statewide. ?Nothing is more important than keeping people safe. That?s why Los Angeles is making unprecedented investments to improve street safety for cyclist, pedestrians and drivers,? said L.A Mayor Eric Garcetti in a press release dated October 1, 2018, for Assembly Member Laura Friedman, who introduced the bill. AB 2363 has been met with such favor due to an increase in road fatalities. The Zero Traffic Fatalities Task Force has been assigned the task of setting up a new methodology to determine speed limits through analyzing current engineering, education and enforcement. If you?ve been injured, it can be scary time. Not only do you have to worry about legal issues, but on recovering, as well. Let Maison Law Firm take the worry out of the case for you. We have professionals on our team who know how to fight for you, so you?re properly compensated.